The definition of symbiosis is : "The association of two living organisms living attached to each other or one within the other to their mutual advantage." In nature we find plants and animals living on or off each other but not harming each other and doing so amicably. 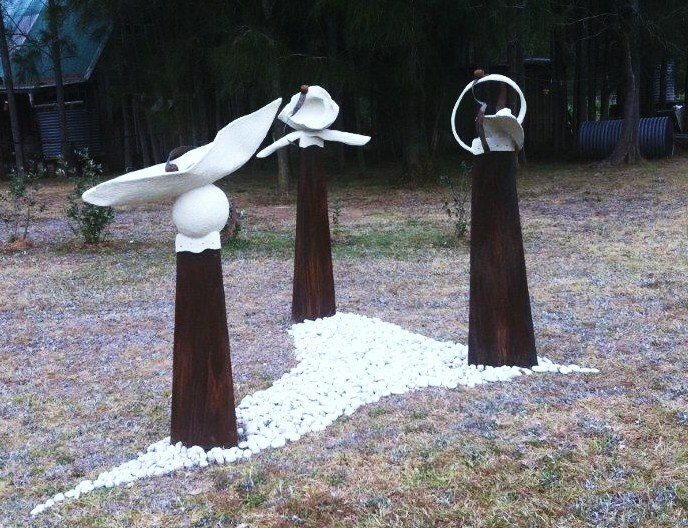 In this sculpture trilogy, there is a flow of movement from one form to another nurturing one shape and yet allowing it to take from the other. The eye is lead easily between the 3 structures and colours to create a harmony. These companions are balanced and united for their mutual advantage.